Teen Challenge for Boys in South Carolina — learn about the adventure-based, affordable program of Teen Challenge Adventure Ranch. – schools for troubled teens and homes for troubled youth. 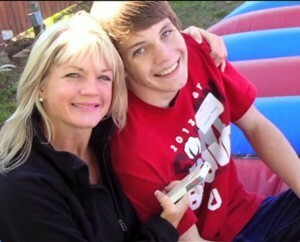 Teen Challenge for Boys in South Carolina Who are Struggling with Life-Controlling Issues. We Make Life Change an Awarding Adventure! Teen Challenge Adventure Ranch enrolls boys from South Carolina and across the nation on its Arkansas campus. It is unique from all other Teen Challenge programs in that it has private bedrooms for each of the boys. It also features top academics, licensed addiction treatment (insurance accepted), an awesome wilderness adventure program, mission trips, and equine therapy. For teen boys experiencing anger, emotional issues, depression, behavioral problems, authority issues, or substance abuse, we can help. A chance at a new direction is possible through this Teen Challenge program for adolescent boys. We lovingly train at-risk boys to choose a different path in life, leading them to be godly and upright young men. If you are looking for a Teen Challenge for your boy in South Carolina, consider that Teen Challenge Adventure Ranch may be exactly what you are looking for. Located in Arkansas, it may be a distance from South Carolina, but that may be a good thing. Boys in need of intervention may need time away from your hometown — away from the negative impact of friends and familiar places — away and the influences of friends there. As the first residential Teen Challenge program for boys, Teen Challenge Adventure Ranch has been serving families several decades. A relationship with Christ is the best source of a lasting difference in the lives of the boys. Every main component of our Teen Challenge program is biblically-based. 6-MONTH AFTERCARE PROGRAM — After graduation from this Teen Challenge, boys return home followed by a strong aftercare program to help them continue to grow. Aftercare is included in our tuition package. MORE STAFF — First, we keep student-to-staff ratios low in order that boys have lots of supervision and one-on-one attention. Also, our staff are highly trained and most have bachelor or master’s degrees in their area of work. Christian Boarding School Offering a First-Class Education for Boys in South Carolina. Education means a great deal to us at Teen Challenge Adventure Ranch, because we find that education is critical for future success. In our private Christian school with fully accredited classes, students study on courses led by certified teachers, with individual tutoring available to aid those who need it. Parents from around the nation, including South Carolina, select Teen Challenge Adventure Ranch for their sons. Students at Teen Challenge participate in a variety of recreational activities, both on and off campus. We run an adventure program that is second to none. 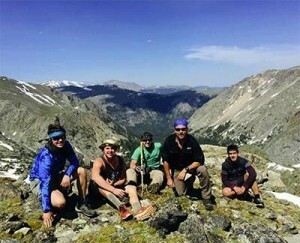 In addition to being fun and physically challenging for the boys, it teaches them about reaching goals, communicating and working well with others. Many young men have put their lives back on track and have gone on to make an impact for Christ after graduating from Teen Challenge. We would be happy to talk with you to see if our boarding school is a good option for your son. Whether you decide on Teen Challenge, a school in South Carolina, or another alternative, we hope your family can experience the transformation that Christ can bring. Please read the rest of our website and use our inquiry form or call us today. South Carolina is a state in the Deep South of the United States that borders Georgia to the south, North Carolina to the north, and the Atlantic Ocean to the east. Originally part of the Province of Carolina, the Province of South Carolina was one of the 13 colonies that declared independence from the British Crown during the American Revolution. The colony was originally named by King Charles II of England in honor of his father Charles I, as Carolus is Latin for Charles. South Carolina was the first state to vote to secede from the Union and was the founding state of the Confederate States of America. South Carolina is the 40th most extensive and the 24th most populous of the 50 United States. South Carolina comprises 46 counties and its capital is Columbia. Excerpt about Teen Challenge in South Carolina, used with permission from Wikipedia. Teen Challenge Adventure Ranch is unique but it is not the only Teen Challenge in South Carolina. Call us today and we will put you in touch with other Teen Challenge programs in South Carolina. Should you need help finding boarding school for troubled youth, ranches for troubled teens, teenage boarding schools or Christian schools, please let us know. Teen Challenge Adventure Ranch is a Christian therapeutic boarding school and boys home. Boys come to our therapeutic school and home in Northwest Arkansas from across the United States. We help at-risk boys who struggle with behavioral issues. Therapeutic boarding schools and boys homes like Teen Challenge offer behavioral therapy and a rehab for troubled teen boys with teen counseling for boys. It is an affordable therapeutic ranch for at-risk teenage boys, boys with anger, oppositional defiant disorder (ODD), attention deficit disorder (ADD), and attention deficit hyperactivity disorder (ADHD) or rebellion. Teen Challenge for Boys in South Carolina — learn about the adventure-based, affordable program of Teen Challenge Adventure Ranch.